Our contribution can be found by clicking here. It’s an extremely minified (1016 bytes) version of the layout engine used in the online modeling tool. You can still build a node/edge model in it though. 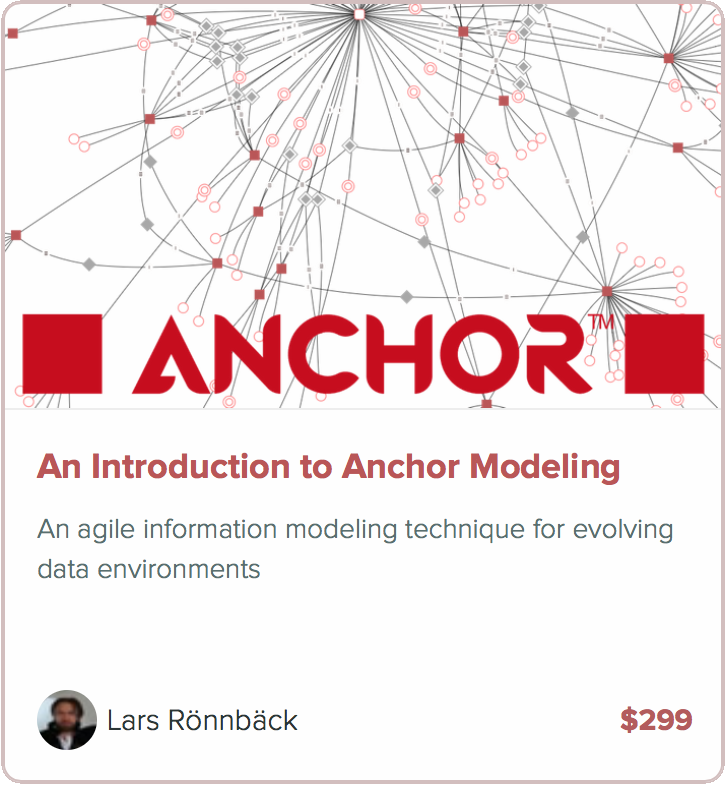 We have released an early preview of an online tool for Anchor Modeling. 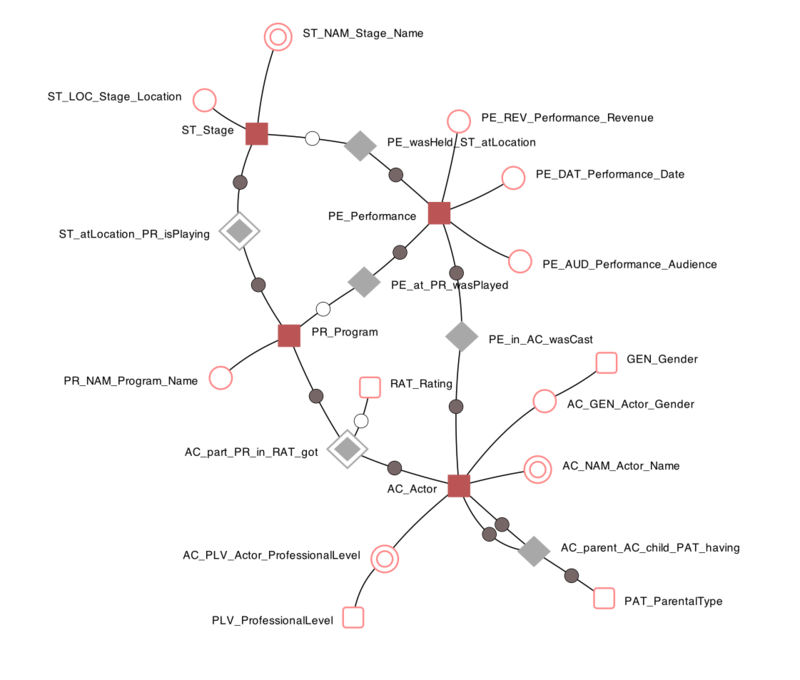 It is made using HTML5 and makes heavy use of <canvas> and its related 2D API. This limits the (possibly) supported browsers to Chrome, Firefox, Safari, and Opera. It will not work in Internet Explorer. Currently it has been tested with Chrome 6 (development channel), Firefox 4 Beta 3, and Firefox 3.6. Click the link in the navigation menu to start or use this direct link. Currently the modeler will start up showing the example seen above. The tool is still at a very early stage of development. It is not meant for production use. The source code and development logs can be found on Google Code. Note that, however slightly, both the graphical and XML notation has changed, as well as the naming conventions, in order to reflect the changes made in our latest paper (due to be published late this autumn). The MariaDB fork of MySQL has added Table Elimination to its list of features, drawn from the techniques used in Anchor Modeling. 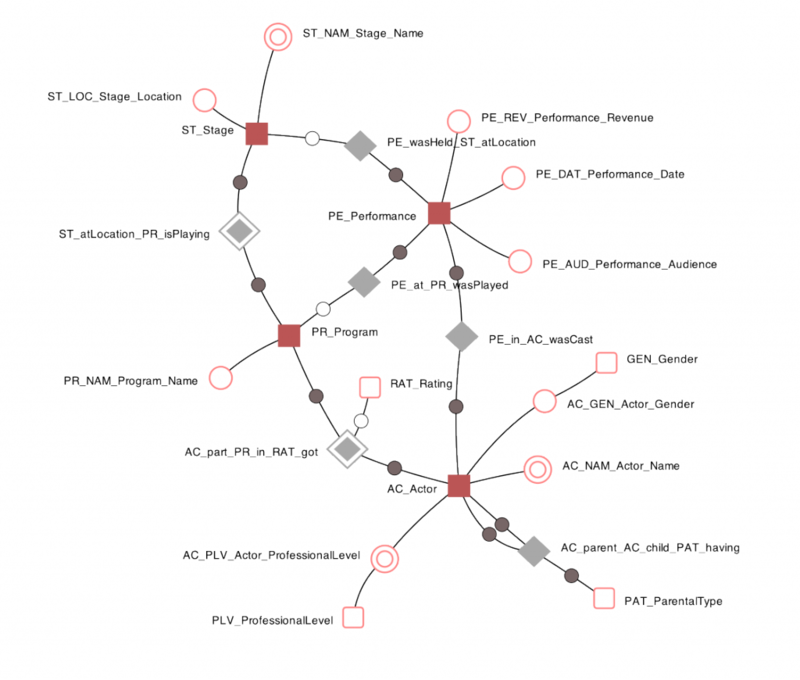 You can read more about it by clicking here, which will take you to Sergey Petrunia’s blog, calling it “the biggest optimizer feature” in MariaDB 5.1. We have written a note on the different concepts of time used in Anchor Modeling and how these are implemented. 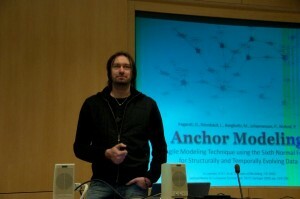 An article on Anchor Modeling has been published in the december 2009 issue of the dutch Database Magazine (DB/M), written by Ronald Kunenborg. Their homepage can be found by clicking here. We have carried out a number of performance tests in order to validate how Anchor Modeling performs in comparison to other techniques. The results can be found in the following files. 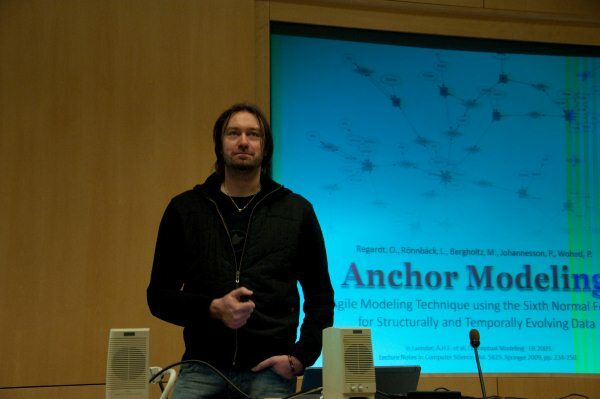 We held a guest lecture on Anchor Modeling at the department of computer and systems sciences, DSV (SU/KTH) for the Data Warehousing and RELDES courses. In the photo, Lars Rönnbäck can be seen presenting the material. 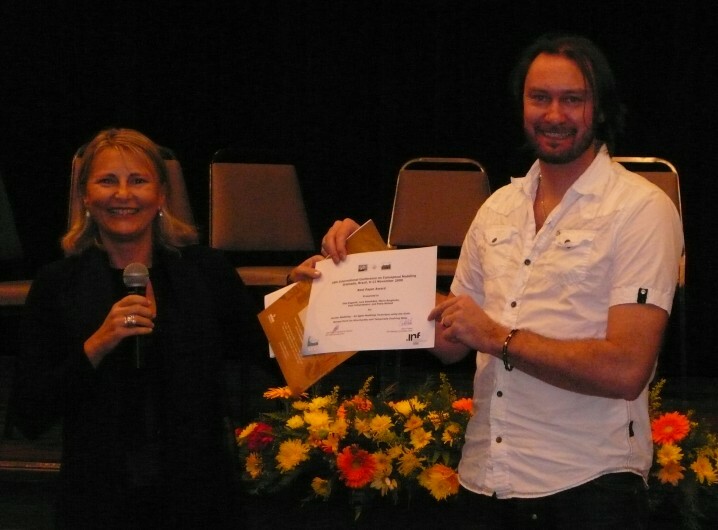 Out of three nominated papers, our paper on anchor modeling was selected as the best paper of ER’09 in Gramado, Brazil. The presentation held at ER’09 is available as a PDF document. In the photo below Lars Rönnbäck can be seen accepting the award. We are glad to announce that our paper on Anchor Modeling has been accepted to ER’09. Less than one of five submissions were accepted, putting ER amongst the most selective conferences. Read more about the conference on their homepage by clicking here. The paper can be found on the university blog by clicking here. We have shown that table elimination is used in the Oracle query optimizer, at least since version 10gR2. It is also present in the Express Edition (XE). Both historized and non-historized attributes are eliminated from queries using the latest view, as shown in the proof of concept script found here. In order to get table elimination to work in Oracle we had to rewrite the SQL-code for the latest view to suit PL/SQL. It should however be semantically equivalent to the Transact-SQL version used in SQL Server. Using AUTOTRACE to run some queries shows that the table elimination is in effect.